The appendix is a thin tube that is joined to the large intestine. It sits in the lower right part of your belly (abdomen). Appendicitis happens when the inside of your appendix is blocked by something that makes it swell up. Might be felt all over your belly if your appendix bursts. These are the most common symptoms, but keep in mind that your own symptoms may vary. Do not take pain medicines. They may hide other symptoms your healthcare provider needs to know about. 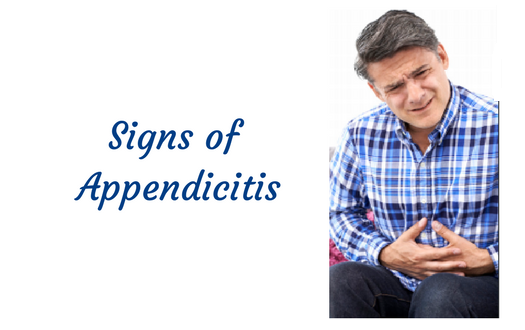 If you experience any of the signs of appendicitis call your health care provider or go the emergency department immediately.